Indonesia has natural and cultural wealth that is not inexhaustible in exploration. In just one year someone will not be able to surround the islands in Indonesia which number nearly 17,000 islands. With so many islands spread, Indonesia is rich in language and culture. This is what distinguishes Indonesia from other neighboring countries. As a country with the largest Muslim population in the world, Indonesia remains a friendly and pleasant tourist destination for foreign tourists. Indonesia is not only known as a beautiful country but because its citizens are smiling and friendly. 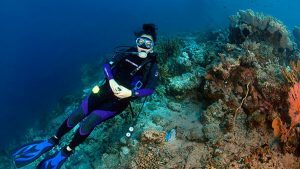 Indonesia is very famous for the beauty of underwater tourism. One of them is the Bunaken marine park tour. Bunaken is located in the province of North Sulawesi. By snorkeling in the sea of Bunaken, you will see the beauty of coral reefs and fish. Because of the natural beauty of the underwater, Bunaken is included in the 10 most popular and best tourist attractions in Indonesia. Mount Bromo with an altitude of 2,329 meters above sea level is a giant caldera with a diameter of about 10 Km. There are several small mountains in the middle is known as Gunung Batok. Its because the shape is resembles a coconut shell. Bromo is surrounded by sand and smoke from a rising crater. 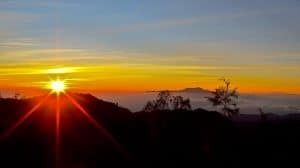 Mount Bromo provides spectacular natural scenery especially seen from the peak of Pananjakan when the sun rises. Read also best mountains for hiking in Indonesia. Tana Toraja has extraordinary natural beauty ranging from mountain ranges and green hills. There are many ancient traditions that are still preserved, one of which is the Solo Sign. Rambu Solo is a funeral ceremony in Tana Toraja. Solo Signs are the most expensive eating ceremony in Indonesia and possibly in the world. This ceremony is carried out for days with no small cost. One of the rituals carried out is buffalo slaughter. This buffalo is not enough just one. The higher the caste of the deceased, the more buffaloes will be sacrificed. Tana Toraja people believe that as long as they have not been buried, the person who died is someone who is sick. His body was deliberately injected with formalin so as not to rot while waiting for the family to carry out the Solo Sign. The person who died is considered to be just sick. The family still treats him like a living person, invites him to chat and joke. If the Solo Sign is done, then the family believes that the person has died. It’s time to save and fly to Raja Ampat. You can get a scene like that by doing trekking in places like Waisai, Kabui and Pianemo. Trekking here is not down the existing route. The place is an uninhabited island so you will be challenged to open and make your own path. During the trip to meet lizards, semar bags to maleo birds are normal. Arriving on the hill, you will see a super cool coral cluster that you only saw on the internet or television. 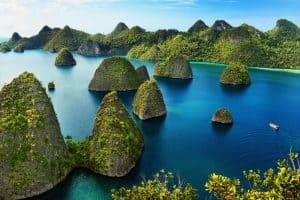 See also another amazing facts of Raja Ampat. 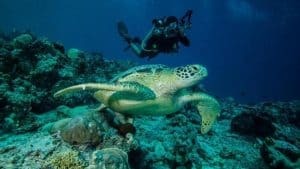 Since being established by the Jepara Government as a National Park on March 5, 2001, Karimunjawa is a habitat for coral reefs, mangrove forests, coastal forests and has nearly 400 species of marine fauna and 242 species of ornamental fish that can be found in Karimunjawa waters. It is Menjangan Kecil, it only takes 20 minutes from the main island of Karimunjawa to the west. Menjangan Kecil Island is one of the most crowded diving locations and has been known by domestic tourists and foreign tourists. 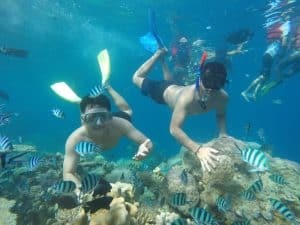 With the beauty of coral reefs that are the mainstay of tourism from Menjangan Kecil Island, on this island we can also visit shark breeding and play and photograph directly with sharks. Although it sounds a little awful, this tourist attraction actually becomes one of the attractions of tourists to experience an unforgettable experience because tours like this are still rarely found in Indonesia. There is one tourist attraction whose beauty can attract the attention of local and international tourists in the province of West Kalimantan. That is Derawan Island. This beautiful island itself offers blue sea charm with incredible underwater scenery. So beautiful, this tourist attraction was successfully ranked third as an international dive site. Here, you can freely play with turtles while sunbathing on the charming white sand beach. Besides providing diving equipment, here are also cottages and restaurants to support the holiday needs of tourists. To get here, the access is very easy, you just need to go to Tanjung Redep by using a DAS, Deraya, or KAL Star plane, then continue by renting a motorboat to Derawan Island. Trans Studio Bandung is the largest amusement park in Indonesia. With an area of 4.2 hectares, of course there are lots of activities you can do while there. Trans Studio Bandung has 21 types of exciting rides that will certainly make you forget for a moment about fatigue in everyday life. 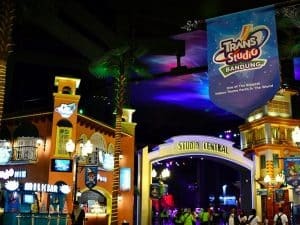 Trans Studio Bandung is also connected to Trans Studio Mall, so after you try all the rides in the amusement park, you can shop, eat, or even watch the latest movies in the cinema with friends and family. See also interesting facts about Bandung. Mainland Raja Ampat also keeps a jewel that spoils the eyes through bird watching activities. Already since the school bench we know the Bird of Paradise is a native bird from Papua. A place where a traveler can see the bird directly without using binoculars or through the media is by visiting this area. Spot watching bird animals can be done on Sawing Rai Island. This bird watching activity is held twice a day with a schedule at 07.00-09.00 WIT in the morning and 16.00-17.00 WIT afternoon. 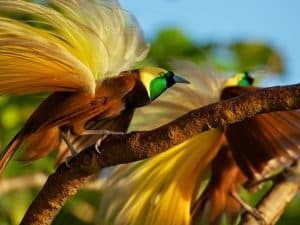 Previously the traveler had to enter the forest on Sawing Rai Island and in this forest the bird of paradise could be seen without using binoculars from very close distance. Besides Cendrawasih, other birds such as parrots and various other birds will also appear in the trees.